1. Chazova I.E., Ratova L.G., Boitsov S.A., Nebieridze D.V. Diagnosis and treatment of arterial hypertension. Recommendations of Russian medical society on hypertension and the all-Russian scientific society of Cardiology. Sistemnye Gipertenzii = System Hypertension. 2010; 3: 5–26. 2. Chernova I.M., Luk'yanov M.M., Serdyuk S.E., Boitsov S.A. Risk factors, mechanisms of development, clinical course and target organ damage in young hypertensive patients. Sistemnye Gipertenzii = System Hypertension. 2008; 3: 60–65. 3. Fomin V.V. Adherence to treatment - one of the key determinants of the effectiveness of antihypertensive therapy: Opportunities combination of irbesartan and hydrochlorothiazide. Sistemnye Gipertenzii = System Hypertension. 2010; 3: 30–34. 4. Baibursyan E.D., Kryukov N.N., Kiseleva G.I., Malofeeva N.S., Germanova I.K. Heart rate variability in the assessment of the severity of arterial hypertension. Kardiovaskulyarnaya terapiya i profilaktika = Cardiovascular Therapy and Prevention. 2005; 4 (S2): 30. 5. 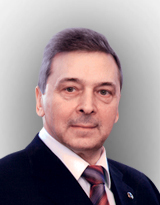 Abramkin D.V., Yavelov I.S., Gratsianskii N.A. Relationship between heart rate changes during reflex tests and heart rate variability. Kardiologiya = Cardiology. 2004; 44 (8): 27–34. 6. Lehrer P.M., Vaschillo E., Vaschillo B., Lu S., Eckberg D.L., Edelberg R. et.al. Heart rate variability biofeedback increases baroreflex gain and peak expiratory flow. Psychosomatic Medicine. 2003; 65: 796–805. 7. Lin G., Xiang Q., Fu X., Wang S, Wang S, Chen S. et.al. Heart rate variability biofeedback decreases blood pressure in prehypertensive subjects by improving autonomic function and baroreflex. J. Alt. Complement. Med. 2012; 18 (2): 143–152. 8. Wang S.Z., Li S., Xu X.Y., Lin G.P., Shao L, Zhao Y., Wang T.H. Effect of slow abdominal breathing combined with biofeedback on blood pressure and heart rate variability in prehypertension. J. Alt. Complement. Med. 2010; 16 (10): 1039–1045. 9. Wheat A.L., Larkin K.T. Biofeedback of heart rate variability and related physiology: a critical review. App. Psychophysiol. Biofeedback. 2010; 35 (3): 229–242. 10. Demin D.B. The assessment of polygraphic reactions at biofeedback heart rate parameters in adolescents with different variants of vegetative status. Vestnik Rossiiskoi akademii meditsinskikh nauk = Annals of the Russian Academy of Medical Sciences. 2012; (2): 11–15. 11. Krivonogova E.V., Poskotinova L.V., Demin D.B. Comparative analysis of the EEG components and heart rate variability during biofeedback training in girls of 15-17 year old with different serotonin level in blood serum. Byulleten' sibirskoi meditsiny = Bulletin of siberian medicine. 2011; 10 (4): 21–26. 12. Demin D.B., Poskotinova L.V., Krivonogova E.V. Thyroid effect on brain activity in adolescents during heart rhythm biofeedback session. Rossiiskii fiziologicheskii zhurnal im. I.M. Sechenova = I.M. Sechenov Physiological Journal. 2011; 97 (11): 1262–1269. 13. Sudakov K.V. The cerebral mechanisms in the genesis of arterial hypertension at emotional stress. Vestnik Rossiiskoi akademii meditsinskikh nauk = Annals of the Russian Academy of Medical Sciences. 2003; 12: 70–74. 14. Baevskii R.M., Ivanov G.G., Chireikin L.V., Gavrilushkin A.P., Dovgalevskii P.Ya., Kukushkin Yu.A. i dr. Analysis of heart rate variability using different electrocardiographic systems (guidelines). Vestnik aritmologii = Bulletin arrhythmology. 2001; 24: 65–87. 15. Poskotinova L.V., Semenov Yu.N. Sposob korrektsii vegetativnykh disbalansov s pomoshch'yu kompleksa dlya obrabotki kardiointervalogramm i analiza variabel'nosti serdechnogo ritma «Varikard 2.51», rabotayushchego pod upravleniem komp'yuternoi programmy ISCIM 6.1 (BUILD 2.8), s ispol'zovaniem biologicheskoi obratnoi svyazi [The method of correcting vegetative imbalances using the complex for cardiointervalogram processing and heart rate variability analysis "Varikard 2.51" controlled by the computer program ISCIM 6.1 (BUILD 2.8), with the use of biofeedback]. Patent RF, № 2317771. 2008. Bulletin. № 6.